Original Australian Alpine Classic Short ugg boots made in Australia from genuine Australian double faced sheepskin. Buy online here, select required options, add to cart, proceed to our secure checkout and pay with PayPal, credit card, debit card OR buy at our SYDNEY FACTORY OUTLET where you can get FREE pair with BUY 3 GET 1 FREE special offer. So easy to deal with! Easy to navigate and order, fast delivery, great quality! I have ordered 3 pairs for my family, I have tried a wide variety of stores and I have found them to be perfect! the website is easy to browse, quality is great and delivery is fast! I will definitely be returning to Australian UGG original! Uggs are good quality and delivered quickly! thanks for great craftsmanship! I was really pleased with the quality and delivery! will be ordering again from you guys! the shipment arrived ok, excellent product! I love buying from this company. Website is easy to navigate, product is fantastic, delivery is fast, considering they are coming from Australia, and I live in Sweden. Thank you Australian ugg company! very comfy, looks great with jeans , everything, love the height of this boot! Love these boots, true to size, fit perfectly, cute and super comfy!! 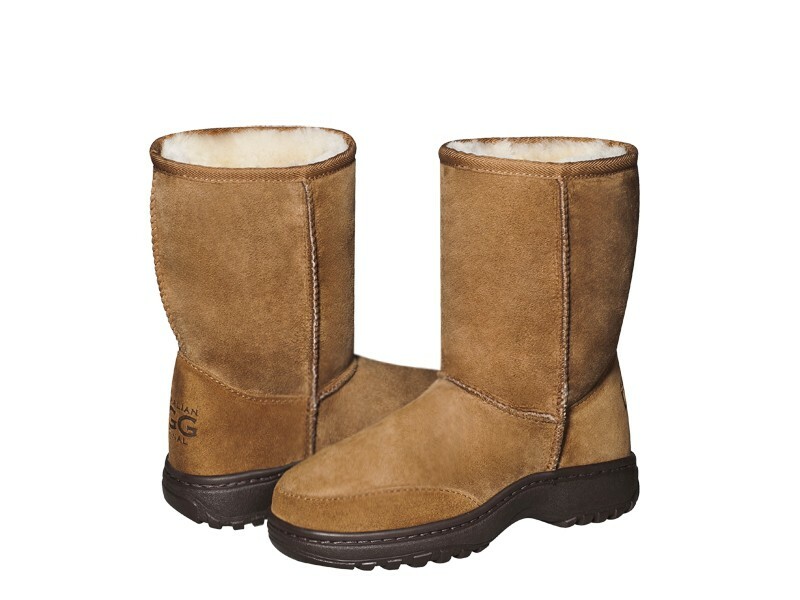 I have ordered from Australian UGG a few times before, and always have been successful with my purchases! I love their boots also the shipping isn't too long really good seller! Just got given a pair of your shoes as a gift...I am in heaven!! Perfect fit, love them! Really good price & service Boots arrived and just as described. First clas quality! Winter is coming, need a new pair soon! was kind of scared when I have placed an order for 3 ugg boots at the same time as I had no idea about the quality of your UGGS; now emailing family members overseas, asking their shoe sizes to order more as there is no doubt about the quality of your products! I have just received my order 3 X pairs of Alpine Boots (for myself and my kids) and all I can say is "AWESOME"! I am a male suffering from lymphedema & chronicle cellulites (swollen leg) and cannot just go and purchase/wear anything I like, however your UGGS made me feel so comfortable, I do not even feel I am wearing them. I reckon you should mention about this fact on your website as I know I am not the only one suffering from this illness, I am pretty sure you will get customers from all over the globe. Once again, thank you so much for creating such a high quality product, secure payment options and excellent fast delivery service. Thank you AUSTRALIAN UGG ORIGINAL! Love your uggs! They are soft, cushy and comfortable and look fantastic.I bought the chestnut and the coffee and love them both! Will definitely recommend your website! fast delivery, much quicker than most places I have bought from, and fantastic ugg boots! Great product at a good price, customer service very good, always someone there to help, and fast delivery, would buy from again. I was looking for AUTHENTIC AUSTRALIAN MADE (not China or Vietnam) UGG and found them here! I was so happy. Great quality,easy website - thank you!Highly recommended place! Prompt service. No <water stop> spray provided but after I complained they immediately sent one out free of charge. I would recommend this company as they have classy AUSTRALIAN MADE goods!! I have bought two pairs of boots from "Australian ugg Original" in the past and absolutely love them. I was not disappointed at all. Very well made and they work great with my orthopedic inserts I have to wear. Could do with a little more advice on sizes, otherwise top product, good pricing, speedy delivery, highly recommended. Excellent craftmanship and very quick delivery. I have dealt with them for several years and have never had a bad experience! Great service as usual. The best. Been using this website for many years and never had any reason to complain. Sometimes they can be a bit pricey, but a massive choice of uggs. The best ugg store! great shop with amazing boots! I highly recommend to anyone looking for good quality ugg boots in Australia! My favorite place for winter footwear. Great uggs. Quality is second to none! This is the second time I have used them. I had never heard of them prior to that but have been very impressed with their quality and price. The price is good and delivery is excellent too, very quick and packaged very well. I particularly like Alpine model. Thank you. I needs advise and they where so helpful, im so pleased with my Alpines! Quality of item was great. Delivery was very swift. Would buy from again. First class product. I'm highly delighted as the purchase was a gift. My wife loved her boots and slippers. She will always wear it. My thanks to the wonderful company that helped me get the uggs in time for her birthday! Simple transaction and uggs delivered quickly! All in all, I enjoyed my experience shopping at AUSTRALIAN UGG. I am what you call a uggaholic )) These boots are super comfortable and cozy. The outsole is great!. You won't be disappointed with these! This is my first purchase from AUSTRALIAN UGG and I couldn't be happier. The online purchase was simple, notifications immediate and delivery quick. The product was exactly as advertised. I have now purchased two for my parents with complete confidence. Thank you AUSTRALIAN UGG. I have bought 2 pairs from them. Both are exceptional quality, and I was very happy with both ugg and the service. I've bought several pairs of ALPINE UGGS. All have been at a good quality, packaged well and delivered very quickly. Will definitely buy from this company again. If you love perfect uggs as I do, AUSTRALIAN UGG ORIGINAL is really good choice! I got these uggs yesterday for my birthday in short black and I absolutely love them! They are so warm and soft! fantastic! This is the greatest shoe!!! I have the chestnut natural one, and its so comfortable and stylish. Although it stains alot, it is really easy to clean. I couldnt ask for anything more. I bought one for my wife last year (in chestnut), and she is over the moon. Now I bought another pair in classic coffee as a birthday gift. I hope you can have more colors for this style as my wife loved the plum in classic short ugg. But she is more practical and loves the rubber sole of the alpine which is perfect for winter weather and snow in Canada. I bought here several pairs for my daughters but it is the first purchase of uggs for my self. I love them! I even bought the slippers for the home. They are very comfy and warm. I have very wide feet and this is the second pair I bought because they fit so well. I have difficulty finding boots to fit and these are perfect. I will be buying another color soon. They are very comfortable, much better than most boots I have tried. Good quality and price! This model is my favourite and I think I will recommend your store! A wide range of styles and colours, good retail prices and bulk discounts, friendly personnel - all of this makes me happy! I bought these uggs last year and it was the best decision ever! They kept my feet warm and dry in cold and rainy weather. and now they look brand new. Comfy shoes perfect for the snow, soft inside, keeps feet warm and perfect for the snow weather! I pay less but I get more!! Perfect australian made LUX items! I am happy! Price very reasonable for that high quality uggs! Thank you to all staff AUSTRALIAN UGG ORIGINAL! I would highly recommend this store: perfect craftsmanship, comfortable and stylish boots, great outsole and fantastic fur, polite team and great location. Its more than I expected! Excellent old classic style boots. I love them. I love the style and the warmth of Alpine ugg! Very comfortable. If you have a bit of a wider ankle, these are great. Much easier to put on. Totally happy, great boots they arrived in perfect condition,and faster than I expected! The boots were a birthday gift for my dad. I was most impressed with the speed of delivery! I have purchased over 5 different pairs since I discovered this store years ago. very cozy, great quality and very durable. I was a little skeptical about this style but when I got them I was happy! truly the best! My boyfriend liked them. And William Street store was the only place I could find them. Nice quality. Would order again these boots cause they are well worth buying. These are really made for winter weather and snow. Unlike the most popular styles, these have a rubber sole that's good in snow!